The Amherst Field Hockey Clinic is open to all high school players who are interested in improving their play and being evaluated by the Amherst College Field Hockey coaching staff. The clinic will offer skill instruction and small-sided game play as well as the opportunity to meet and spend time with players on the Amherst Field Hockey Team. This year we will be offering a clinic on April 14th. We hope you can join us for this great day! The Amherst Field Hockey Academy is open to players who will be entering 6th-12th grade, as well as high school graduates who are getting ready to enter college in the fall. The Academy will offer skill instruction and coached game play. This is a great way to improve your play and prepare for your upcoming season. 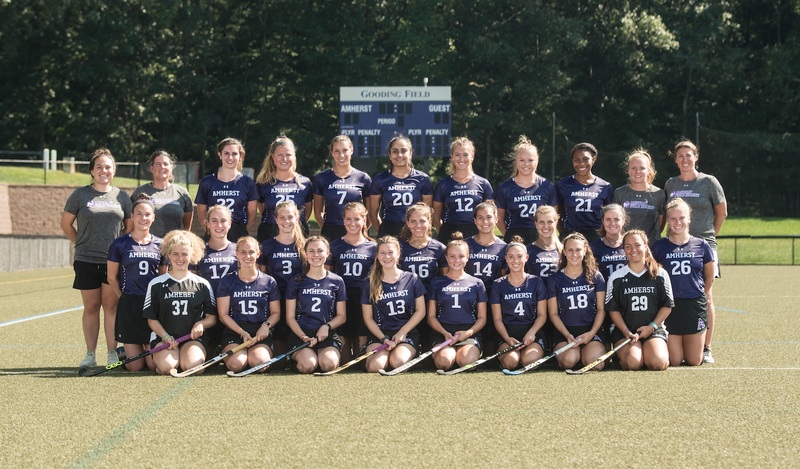 This is also a great way to be evaluated by the Amherst College Field Hockey coaching staff, meet some of the Amherst College Field Hockey players, and get to know more about the Amherst College Field Hockey program.